A huge part of our business that deserves a significant mention is categorized under the generalization "services". This includes screen printing, embroidery, laser engraving/etching of metal, crystal, and glass, and the sale of the items on which this customization is performed. We also offer a variety of non-product marketing services, such as the writing and promotion of web banners, print ads, press releases, and the creation and maintenance of Google and FaceBook advertising programs. When we say that we are a full service ad agency, we mean it. Screen Printed apparel is, and will always be, a large bulk of our imprinted promo items business. We offer custom printed t-shirts from every major brand, including Gildan, Hanes, American Apparel, Jerzees, Fruit of the Loom, and many, many more. Our standard Gildan 100% cotton tee is extremely affordable, which allows our customers to order high quantities of them for large events such as marathons and 5k races. The way in which we imprint our products is another way in which we differentiate our company from the competition. We have the ability to print all of the standard methods, whether it be traditional screen printing or digital, but we go a bit further with locations, size of the imprint and more. Looking for a left hip imprint for a cool design? We can do it. Looking to extend an imprint around the front? We have a way to do that as well. We receive a lot of calls about our minimum orders on screen printed t-shirts. Our normal minimum is 48, but we do occasionally receive orders for lower amounts that we can accommodate by using our digital printing technology. Our screen printed clothing extends far beyond t-shirts. We provide long sleeve tees, zip up hoodies, pullover hoodies, tank tops, sweatpants, and more. We make our products extra special by offering printing on such areas as the side of a hood on a hooded sweatshirt, which really draws attention to the item in a good way. We realize that the use of non traditional print locations can be what makes an apparel item special, and we always offer this to customers when we feel that it will help them accomplish their marketing goals. Embroidery- just 10-15 years ago, it was considered a major project to get a logo digitized, and there were many limitations with embroidered items. Embroidery technology, both hardware and software, have improved dramatically in recent years. It doesn't take nearly as long as it used to for a large order to be produced, and the detail is phenomenal. We offer embroidered baseball caps and hats at lower prices than ever before, mainly because improvements in technology have lowered our supplier's cost to us. In addition to traditional full color embroidery of text and logos, we also have the ability to do the popular "tone on tone" look. The "tone on tone" look is accomplished by picking the perfect thread color that is 2-4 shades lighter or darker than the item being embroidered. We have seen other embroidered try to do tone on tone embroidery before, and they often make the mistake of using the exact same color thread as the garment or hat. This type of error makes the logo impossible to see. We highly encourage you to contact us if you are seeking tone on tone embroidery, as we are very experienced. An additional form of imprinting that is not offered by every supplier is laser etching or engraving of garments. Technically, we can perform this method of imprinting on just about anything, but it really looks best on thick garments such as fleece vests. Here at Ad Specialty Products, we keep track of current fashion trends so that we can mirror what is going on in the fashion world with your company logo corporate apparel. We are proud to have corporate pricing with American Apparel and Alternative, two companies made popular by Hollywood stars. These companies also bring a huge product line of hard to find items such as racerback tank tops, tights, odd color combination t-shirts, wide neck shirts and sweatshirts that fit around or over a woman's shoulder, and other innovative designs. Our line of customized cheer, dance, and school spirit apparel is constantly growing thanks to our connections with the best warehouses in the business. We have animal print racerbacks that are customized with your school or team logo, flannel shorts, boxers, and pajamas, and more. The blank items are top quality, and we really take these items to another level by imprinting your school mascot or name on the back, full leg, or hip. We can screen print or embroider these, but we find that screen printing is the most comfortable on these lounge type and athletic type items. Custom golf shirts and jackets are among our favorite items on which to provide customization. Nothing gives us a greater thrill than seeing our customers enjoying our products out on the golf course. We provide the absolute best in screen printed and embroidered golf apparel. Our brands include Nike, Adidas, Reebok, Ahead, and more. Golf shirts also make a great alternative to button down embroidered oxfords, especially in the summer time. A nice moisture wicking Adidas golf shirt, with its smooth texture and ease of motion could be just what your traveling salespeople need to close the next deal in a hot climate. High end golf shirts also make great promotional items because of their shelf life- you really do get your money's worth. Your custom Nike or Adidas shirt could be seen out on the course by potential clients and lead to some referrals. Now that we've mentioned button down dress shirts or oxfords, this is the perfect time to mention that we carry a HUGE line of custom button down dress shirts. Most of our embroidered oxfords are wrinkle and stain resistant, and our mid level button down dress shirt easily rivals high level retail brands. As always, you can get our products customized for just about half the price of what you would pay in a store for a similar shirt, completely blank. Oxfords look great with the traditional left chest full color embroidery, but look exceptional with a second location of embroidery such as the back yoke (between the shoulders) or the left bicep. That is the perfect place to put a web address, small slogan, or event specific logo/info such as the specific convention name. Another apparel item, often worn outside of the above mentioned oxfords, is the soft shell jacket. The soft shell jacket was made popular by a company famous for northern weather and extreme conditions. Its attributes include a form-fitting shape and a pop up collar. Much like our oxfords, these soft shell jackets look great embroidered on multiple locations, and our quality rivals that of the big retail names for much less cost to our valued promotional products customers. Our favorite calendars to sell are the gigantic desk calendars used by construction companies. These huge custom calendars are available in multiple colors, with your imprint at the top in one color. These particular customized calendars stay on your client's desk, and are there for them with a huge box for each day whenever the client needs to write down a note or important appointment. These are a big hit every year and are an excellent value. Looking to hand out a large quantity of calendars? We have small, flip book type pocket calendars that can be printed with your company name or logo. These would make a fine trade show gift, as would our magnetic calendars, that, in some cases, stay on your potential client's refrigerator or filing cabinet for well over a year. An "in between" option between our large desk calendars and our small "stick up" type calendars is our traditional wall flip calendar. Our wall calendars come in a huge selection of photographs and artwork. We have classic car calendars, exotic car, muscle car, hot babes, good looking dudes, and all kinds of beautiful landscape and wildlife photography. If you are a regional business, you may want to look into our ability to provide state specific calendars featuring some photos of your state's best attributes and landmarks. Much like our custom promotional pens, this year is proving to be the year of the "hybrid" item because of all of the different combination promotional items being released. One combo calendar that we enjoy is the calendar mousepad. Despite being older technology, we find that a lot of clients still enjoy using a traditional mouse because of the feel and level of control one can execute. A more specific but equally great product that involves dated and printed paper is our custom mileage log. We have a few different mileage logs that we can print with your company name or logo. These are priced according to the features and what type of material we use. An accounting firm that our company works with on occasion uses these mileage logs as a way to remind their clients to track their miles driven over the course of the year so that they can write it off on their taxes. It is not only a great reminder to keep track of mileage, but also a great and non obtrusive way to touch base with clients mid year. 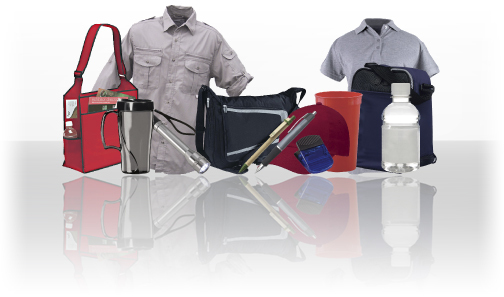 We find it to be important to mention to potential clients all of the services that we can provide in addition to world class promotional products. Please contact us anytime you need assistance with a custom project, as we are always happy to help.